You are part of the synagogue family, making Jewish friends and gaining a community with which to celebrate life-cycle events. Membership includes High Holiday tickets, as well as special Member Events. Your children may enroll in Torah School for a comprehensive curriculum of Jewish learning. You are welcome to Shabbat, holiday services, and one of the only Conservative morning minyans in San Diego County. You will receive member rates for Adult Education, Preschool, activities, and facilities rental. We encourage you to join our auxiliary organizations, including Men’s Club, Sisterhood, and United Synagogue Youth, which have won awards from the Pacific Southwest Region of United Synagogue. Your membership includes affiliation with the United Synagogue of Conservative Judaism and you will receive its quarterly magazine Review. 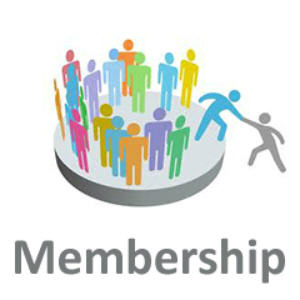 We believe membership should be available to everyone who wishes to be part of the community. To learn more about T’rumah, our financial model, click here. But nothing can tell you more about a synagogue than actually visiting it and we invite you to drop by anytime. Come to services, attend our events, enroll in a class. Call 619-697-6001 or send us an email to arrange to meet with our staff. Experience the community that is Tifereth Israel Synagogue. For more information about membership, please contact our Program Director Beth Klareich by email at program@tiferethisrael.com or by calling the synagogue office, 619-697-6001. Click here for the membership form.